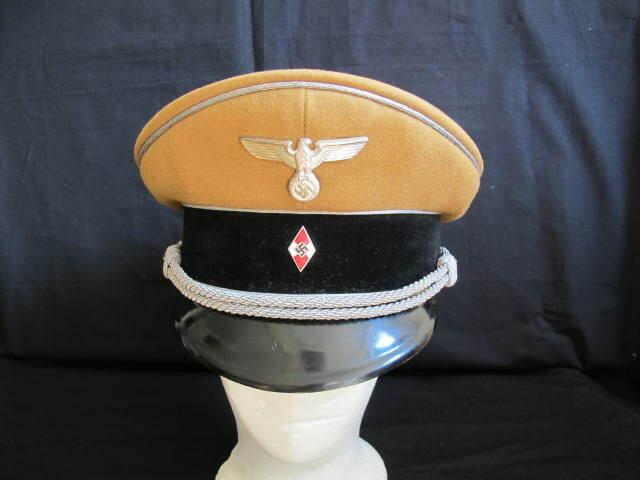 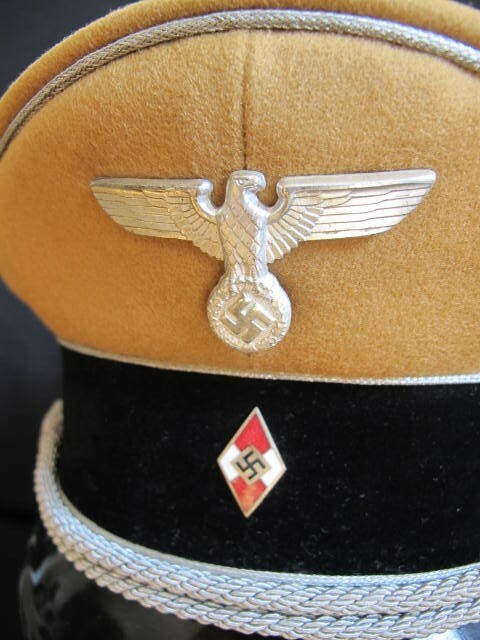 Scarce and seldom found Third Reich Hitler Youth Leaders peaked cap. 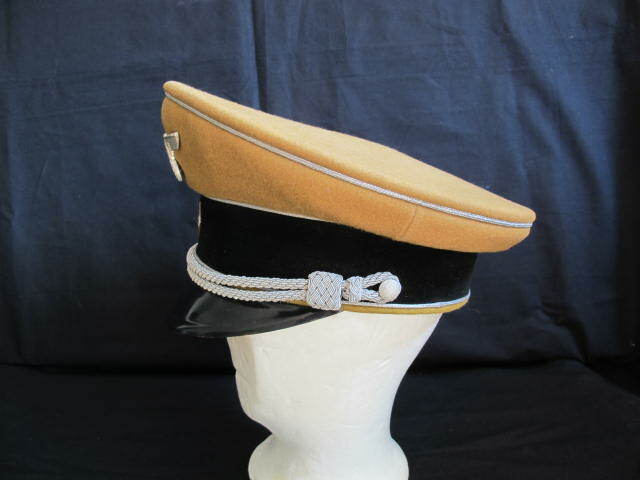 Brown molton cloth with black velvet central band. 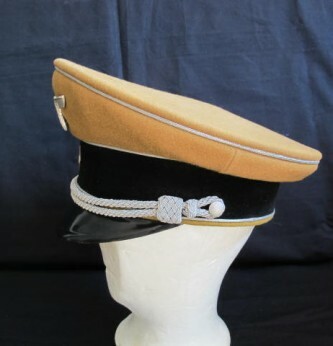 Silver piping to crown and central band of cap. 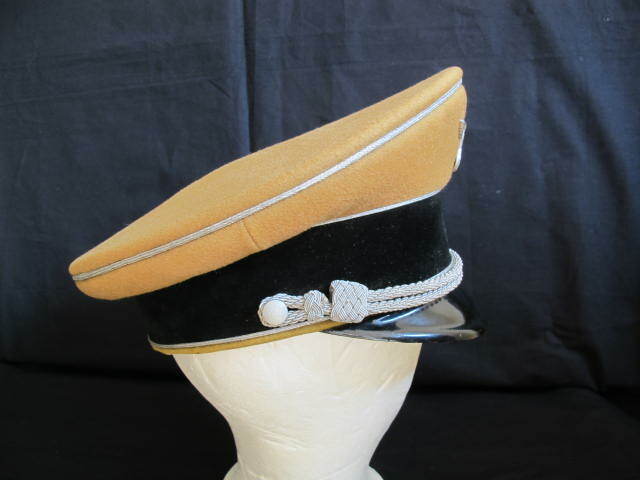 Early style Political eagle retaining 95% of its original silvered wash finish and HJ enamelled diamond to lower band. 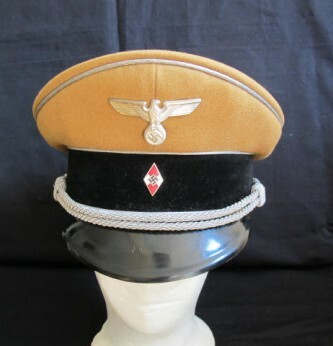 Complete with officers cap cords. 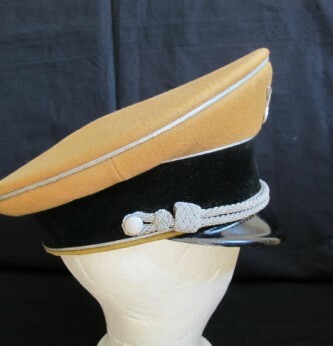 Silk liner to inside with leather sweatband. 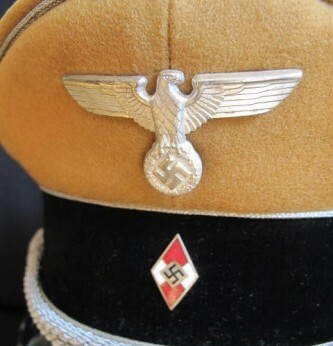 Size marked 56 and original owners initial to name tag. 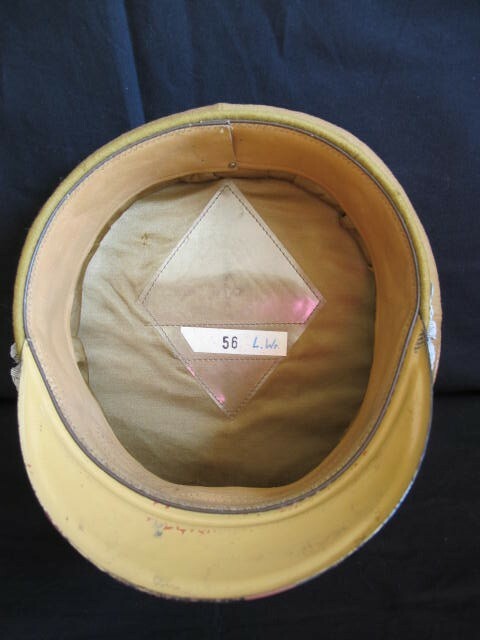 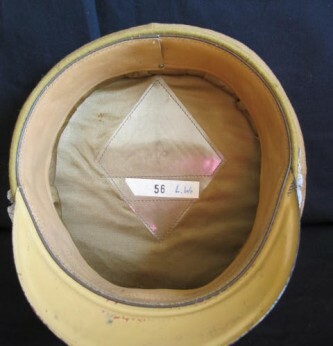 Overall a beautiful shaped cap in excellent condition for age which is now seldom found.